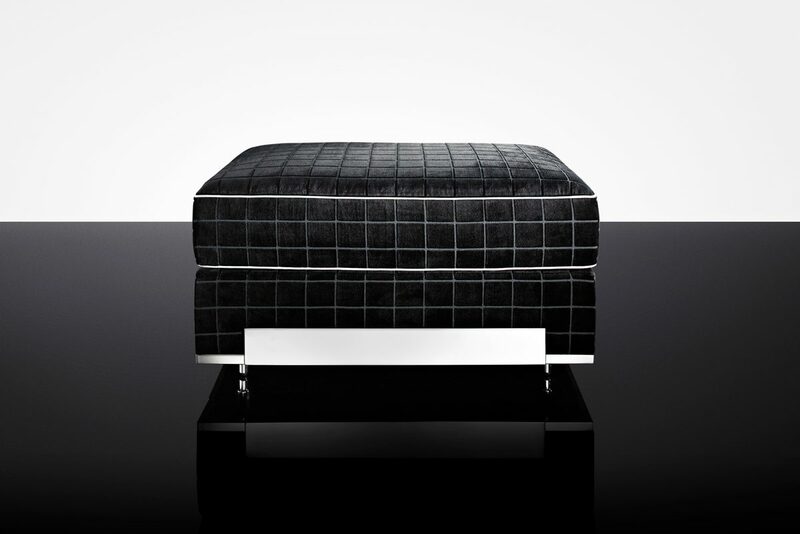 Comfort meets beauty in this chic ottoman. Fully upholstered with contrast piping and a polished metal-trimmed base. Classic.